The celebration of the 100th anniversary of the National Genealogical Society Quarterly continues with the third release in the Voices of Genealogy video series of interviews with distinguished genealogists, among them the editors of the major US genealogical journals. The new episode, “Becoming a Genealogist,” features Harry Macy, FASG, FGBS, who, from 1987 to 2006, was editor of The New York Genealogical and Biographical Record, the only genealogical journal focused on research in New York. Produced by award winning filmmaker Kate Geis, the video is now playing for all NGS members on the Society’s website. In this video, Macy describes his discovery of genealogy when he was an eight-year-old boy on Long Island and his journey to becoming the scholar we appreciate today. Future episodes with Harry Macy will tell the stories of his becoming an editor, his own research, and an opportunity he sees for societies to support researchers in correcting widespread errors in genealogies. There is more information about the Voices of Genealogy series in the January-February-March issue of the NGS Magazine. The video interviews represent just one of the many opportunities NGS offers its members for becoming successful genealogists. Members receive the society’s outstanding quarterly publications, the National Genealogical Society Quarterly and the NGS Magazine, and they can also take advantage of free courses and significant discounts on publications, courses, and the NGS annual conference, which will be held in Cincinnati 9–12 May 2012 and in Las Vegas 8–11 May 2013. If you are like me, either you weren’t able to attend RootsTech. Or, you are like those who did attend and yet could only be in one place at a time! Whether you are catching up on the conference or on missed sessions, videos for 18 of the sessions are now freely available on the RootsTech website. Which was your favorite video? It's Now 1 Week Until the 1940 Census is Released! What Can You Do To Prepare? The 1940 Census images will become available at 9:00 am 2 April 2012 at http://1940census.archives.gov. The census will not be indexed when it is released. Ancestry will be working with indexers around the world to complete the index as quickly as possible for their subscribers. FamilySearch has organized a volunteer 1940 Census Indexing Project with genealogy societies across the United States. FamilySearch will post the index on its website www.familysearch.org as each state is completed. If you want to volunteer to index the 1940 census on behalf of NGS go to https://the1940census.com and sign up. Make a list of everyone you want to research in the 1940 census and their address. If you don’t know their address, how do you find it? 4. Do you have an old address book which belonged to your parents or grandparents? 5. Do you have any old envelopes from letters your relatives may have written about 1940? If your family lived in the same house for at least 10 years you can look for the property address in the 1930 Census. Find your ancestor in the 1930 census. View the image of the census page. The street name is written in the left margin of the census page. The house number is written in the first column. My father was Charles Nutter. In 1930 he was living with his parents in Pontiac, Oakland Co., Michigan at 944 Cameron Ave.
Next look at the Enumeration District in the top right corner. In 1930 the ED was 63-54. We will now show you how to convert the ED in 1930 to the ED in 1940. Stephen P. Morse has provided a tool to convert census Enumeration Districts from 1930 to 1940. This means that in the 1940 Census, I will find 944 Cameron Ave., Pontiac, MI on ED 63-73. So when the 1940 Census becomes available, I will go to Michigan and look for ED 63-73. This next example are my maternal ancestors from the 1930 census in Peoria, Illinois. I know they were living at 200 Hanssler Place, Peoria, Illinois, even though the street name is further down on the census page. So as soon as the 1940 Census is available, I can go to Illinois and look for ED 104 and find my grandparents in the 1940 Census. In this case I will have to browse three ED’s 104-41, 104-42 and 104-45 which may mean more than 100 pages, but this is still better than having to browse all the pages for Peoria, Illinois. We want to thank Stephen P. Morse, PhD and Joel D. Weintraub, PhD for their advance work on the 1940 Census and the many other research tools provided on their website http://stevemorse.org/index.html. If you think state and county borders is “old news” then check out this article about the NC/SC border which has just recently been “established,” hopefully for the last time! 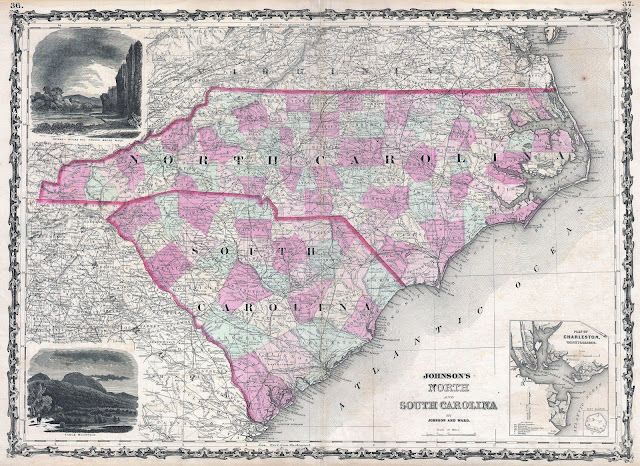 “... For decades, officials thought the land where the store sits was in South Carolina, because maps said the boundary with North Carolina drawn back in the 1700s was just to the north. Living in NC this isn’t the only example of a recent case where a “border” was finally established. Back in 2009 the border between Wake and Franklin Counties was set! So, though we think in our research of checking “where land” is due to county formation and border changes as well as state formation and border changes, I’m not so sure that descendants will think to check for such for land when researching property in 2009 or 2012! Do you know of other “modern” examples of border changes that will impact future genealogists? 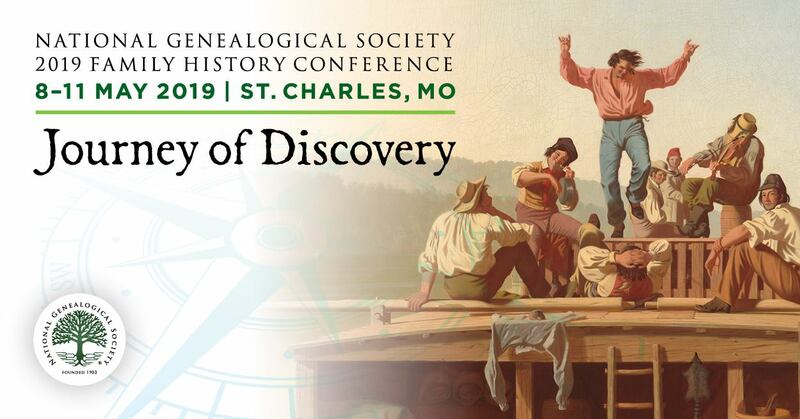 Chris Staats, on his blog, posted a piece titled New Presentation Idea: Tech Tools for Technologically-Challenged Genealogists. He lists out 10 tools that he uses (Dropbox, Transcription, etc). For a recent class I taught, I expanded his list to include some tools that I use in the categories for some of what he mentions. For example, instead of Snagit, I used 5 Clicks for years until my new computer came equipped with a “Snipping Tool” which works well enough. What non-genealogical techie tools would you add to the list? NGS is one of many genealogical societies participating in the 1940 Census indexing project with FamilySearch so the 1940 census images and index can be available to the public for free. The National Genealogical Society is pleased to be supporting this project so the 1940 Census index and images can be made available to the public for free. The 1940 census images will be released by the National Archives on Monday, 2 April 2012 at 9:00 a.m. E.D.T. If you are interesting in volunteering on behalf of NGS, go to https://the1940census.com/society and click on "get started." If you don't already have an account with FamilySearch, you will need to create an account (user name and password). Select "National Genealogical Society" on the profile screen. Download the indexing software provided by FamilySearch. The file is large, so it may take a few minutes depending upon the speed of your Internet provider. The software will automatically create a "FamilySearch Indexing" icon on your desktop. You will click on the icon every time you are ready to index a page or two. If you experience any difficulty or have questions, the FamilySearch help line is 1-855-439-1940. FamilySearch will notify the NGS project administrator, Jan Alpert, that you have registered as a volunteer. She may also be contacted at [email protected]. After April 2 you will be able to download a batch of census records to index anytime 24 hours a day. You will be able to select the state to index but not the county, since you will have access to the next page available. A page is estimated to take 30-45 minutes to index. You can index as many records as is practical for your personal schedule. Once you type up the index for a page of census records, you will submit the records back to FamilySearch. Each page is entered by two different people and compared. Arbitrators resolve any differences. Once a state is completely indexed, FamilySearch will make that state index and images available to the public on their website: www.FamilySearch.org. Log into the indexing software to access these projects and others. The following link https://the1940census.com/resources/enum_instructions/ will take you to the 1940 enumerator's instructions, so you can see the questions asked on the 1940 census. Reading and becoming familiar with the census questions and abbreviations will help prepare you to do indexing. Fifteen minutes before the webinar start time, click the date or go to go to http://meetingplace.ldschurch.org and enter the Meeting ID and click the “Attend Meeting” button. Again, thank you for volunteering to be an indexer. Last month (25 February 2012) the Washington Post (DC) published an article with the above title and the subtitle “In push to preserve Arlington plot, churchgoers unearth their roots.” As a genealogist, we know how special cemeteries are – both for information and spiritually. “When Saundra Green Looks over the compact cemetery adjacent to Calloway United Methodist Church in Arlington, she sees the history of her community. This reminded me that though I take for granted the basics of genealogical research, there are many more individuals who have an interest and don’t know where to start! How can we “experienced” genealogists reach out to our local community and help those who are interested and don’t know where to start? (16 March 2012) The National Genealogical Society (NGS) announces the opening of the Official Blogger registration for the 2012 Family History Conference, 9–12 May, in Cincinnati, Ohio.